The online version of this article ( https://doi.org/10.1186/s13058-019-1129-9) contains supplementary material, which is available to authorized users. Breast cancer risk is multifactorial, with > 40% of women having multiple risk factors . Moreover, breast cancer is biologically heterogeneous, with the main distinction being estrogen receptor (ER) status. Risk prediction models can be used to guide decisions around screening and prevention [2, 3, 4, 5], but do not currently account for interactions between most risk factors or estimate ER subtype-specific risk. Elevated breast density and overweight/obesity are the two most prevalent risk factors for breast cancer . Breast density represents the relative amounts of dense (fibroglandular) and non-dense (fatty) areas on a mammogram. Of density measures, percent density, or the ratio of dense to overall breast area, is most strongly associated with risk . Percent density and BMI are inversely related and act as confounders of each other’s effects [6, 7]. Breast density [8, 9, 10] and BMI  have been differentially associated with ER-positive and ER-negative cancers, and these associations vary by menopausal status . For instance, premenopausal elevated percent breast density is associated with higher subsequent risk of ER-negative than ER-positive cancer, whereas postmenopausal elevated percent density is associated with similar risk of both ER subtypes . Similarly, premenopausal overweight/obesity is associated with higher risk of ER-negative than ER-positive cancers, whereas postmenopausal overweight/obesity is associated with similar risk of both ER subtypes [10, 11]. The latter relationships are modified by postmenopausal hormone therapy (HT) use [10, 11]. An important clinical question is whether elevated breast density and overweight/obesity act to synergistically increase risk. Whereas recent work has estimated the population-wide effects of breast density and BMI , few studies have investigated how these risk factors interact. Three of four studies that tested for interactions between breast density and BMI found a synergistic interaction [12, 13, 14], with two being of borderline statistical significance [13, 14]. The remaining study found no interaction . All studies shared two limitations: they included relatively few premenopausal women and did not stratify their results by ER status [12, 13, 14, 15]. 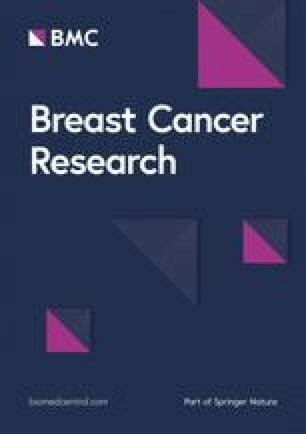 If our findings are replicated across other volumetric density measures, and in diverse populations, they may have important implications for risk stratification in premenopausal women, 18% of whom have BI-RADS category heterogeneously dense or extremely dense breast density and BMI ≥ 25, according to our analysis of a large database of US women undergoing mammography screening. These women may benefit from counseling on their risk for ER-negative cancers and the importance of achieving and maintaining a normal BMI. Most studies on the relationship between weight trajectory and breast cancer risk have focused on postmenopausal women, with several showing that weight loss decreases risk [35, 36, 37] and others failing to detect an association . Little is known about premenopausal weight and breast cancer risk, or how weight trajectory and lifestyle factors such as exercise impact subtype-specific risk. Since selective estrogen receptor modulators such as tamoxifen and raloxifene do not reduce the risk of ER-negative cancers , lifestyle modification could be a critical strategy to reduce ER-negative cancer risk in young women with dense breasts. For instance, increased physical activity has been consistently linked to decreased breast cancer incidence [RR 0.87 (95% CI 0.84–0.90) in a recent umbrella review] , and it is highly plausible that such an effect is mediated by a reduction in BMI .